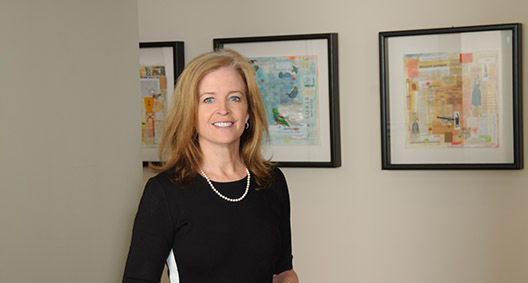 Joann Jones focuses on real estate development and finance, with significant experience in the area of commercial real estate development, particularly in the healthcare industry. She has a keen understanding of her clients' business needs and thinks strategically when structuring and facilitating real estate development transactions. Joann shares her clients' desire to bring deals to a close in a manner that protects the clients' interests but achieves a mutually beneficial result. Joann works with medical providers, including hospital systems and the owners and operators of long-term care facilities, to meet their real estate and medical facility needs. She also has deep experience in leasing and ground leasing of medical office buildings and in crafting compliant lease agreements between hospitals and physician groups. Assisted a major Southeast hospital system in the assemblage of real property in strategic markets and development of medical campuses, resulting in increased market share. The developments included syndication investment opportunities for physicians and physician leasing. Negotiated and closed a sale-leaseback transaction involving the renovation of a defunct retail development into a state-of-the-art medical office building and cancer center in a fast-growing, suburban medical office market. Assists the Catholic Archdiocese of Atlanta in the restructuring of its real estate holdings, including its parish properties and facilities. Guides the National Center for Civil and Human Rights with respect to the management and operation of its facilities, including vendor agreements, corporate registrations and filings, and operational policies. Advises owners and operators of skilled nursing and assisted-living facilities on financing operations through bond transactions and through sale/portfolio master leaseback transactions. Works with clients in the acquisition, development and disposition of long-term care properties. Assembled, over a period of years, several hundred acres of property for the site of a replacement hospital and implemented a strategic mix of ground leases and restriction agreements to mitigate against competing medical development in the client's area of investment. Advised a large hospital system owning multiple metropolitan-area campuses with the acquisition, ground leasing, and master leasing of a hospital-branded 100,000 square foot medical office building in an in-town, fast-developing, commercial district. Managed a significant hospital system’s lease portfolio consisting of almost 4,000,000 square feet of medical office space and other medical facility interests. Serves as counsel to, and on the boards of, two local educational institutions (secondary school and college) and advises them in matters of governance and operation of real estate holdings and facilities.